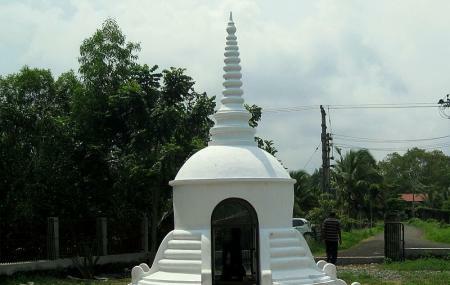 It is the only Buddhist temple in Kerala which proves the fact that Buddhism did exist in this part of India. It is a very important Buddhist pilgrim centre and was built around 11th century. The highlighted feature of this temple is the black granite statue of Buddha and it is popularly known as Karumadi Kuttan. Legend says that this statue belong around 9th and 10th century when Buddhism was at its peak. However, in later years the temple was attacked by an elephant. During this incident, the statue was broken into half. Still people do come to visit this temple to admire the serene beauty of the temple. The temple is closed on National Holidays. People normally club together Ambalapuzha Shree Krishna Temple and St. Marys Syro-Malabar Catholic Forane Church, Champakulam while planning their visit to Karumadikuttan.